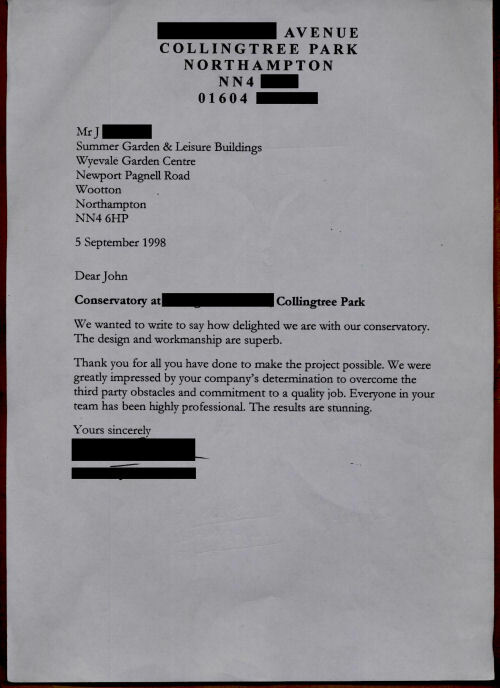 We wanted to write to say how delighted we are with our conservatory. The design and workmanship are superb. Thank you for all you have done to make the project possible. We were greatly impressed by your company's determination to overcome the third party obstacles and commitment to a quality job. Everyone in your team has been highly professional. The results are stunning.